March 2017 | Florida Law Advisers, P.A. When you file either Chapter 7 or 13, an “automatic stay” is put into place under bankruptcy law. The automatic stay requires all collection activity against the debtor to stop immediately. The automatic stay is the quickest way stop creditor’s phone calls and stop creditor harassment. Creditors will not be able to contact you, garnish your wages, or repossess your property during the automatic stay. The stay is applicable to all creditors, none of them will be able to take any collection action. See bankruptcy law 11 U.S.C. § 362(a). How Long Does the Automatic Stay Stop Creditor Harrassment? In most cases, the automatic stay will remain in effect and stop creditor harassment until your bankruptcy case is discharged. The automatic stay is available under both Chapter 7 and Chapter 13 bankruptcy. If you are unsure about which Chapter is right for you speak with a bankruptcy attorney in your area. Florida Law Advisers, P.A. offers a free initial consultation for bankruptcy clients, to speak with a bankruptcy lawyer in Tampa click here. 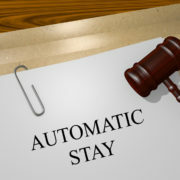 Typically, the stay is automatically lifted for all creditors once your case is closed. See bankruptcy case Failla v. Citibank. For example, if you did choose to surrender your home, the secured creditor can start the foreclosure process on your home as soon as the stay is lifted at the end of your case without first having to seek approval from the bankruptcy court. However, the creditor will be unable to continue with the foreclosure process until the stay has been lifted. If a secured creditor wants to move forward with collection efforts after the stay has been enacted, the creditor must first seek approval to do so from the bankruptcy court. This process will require notice to you (the debtor) and a hearing. See U.S. Supreme Court Case: Citizens Bank of Maryland v. Strumpf. Thus, the automatic stay will stop creditor harassment until it is lifted by a judge. If the judge grants the secured creditor the ability to move forward with their collection after the hearing, the automatic stay is considered to be “lifted” and the secured creditor can come after the piece of property that it wishes to repossess. An example of this process would be in a Chapter 7 where you choose to surrender your home. If the secured creditor wants to take your home from you, the creditor must go through the process of seeking approval from the court in order to do so. For more information about a creditor’s right to lift the automatic stay contact a bankruptcy lawyer in your area. If there is an active foreclosure, the automatic stay will freeze the foreclosure as soon as the bankruptcy is filed. You want to make sure that once you file your bankruptcy petition to stop the foreclosure action that you also file a “Suggestion of Bankruptcy” form in the state court foreclosure lawsuit right away. 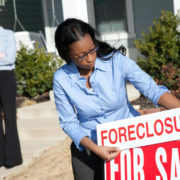 This must be done before the foreclosure sale date in order to stop the sale of your home. This assures that the state court judge is on notice of your bankruptcy so the foreclosure can be stopped on time. The Tampa bankruptcy law firm you hired should file the suggestion of bankruptcy in your foreclosure case on your behalf. The automatic stay does not apply to all types of debts, or collection activities. Bankruptcy law provides for many exceptions from the automatic stay. For a more complete list of exceptions see bankruptcy law 11 USC §362 or contact a bankruptcy attorney. If your creditor is exempt, bankruptcy may not stop creditor harassment. At Florida Law Advisers, P.A., the Tampa bankruptcy attorneys have years of experience helping people just like you to solve their financial problems. We understand that these are very difficult times and we are here to help. We have many options available that can help you successfully manage your debt and regain your financial health. The right course of action will depend on the unique circumstances of your case. To see which options may be available to you, contact us to today to schedule a free, confidential consultation with a Tampa bankruptcy lawyer at our firm. Clients commonly ask us, will bankruptcy affect Social Security payments? Generally, your Social Security benefits are protected under Chapter 7 and Chapter 13 bankruptcy. Therefore, the funds belong to you and the trustee cannot take them. See bankruptcy law 11 U.S.C. 522. The monthly benefits that you receive in Social Security are exempt from being seized or garnished. However, each case is different and you should speak with a bankruptcy lawyer if you have questions. This article about how bankruptcy affect Social Security payments is general in nature, and not legal advice for any particular case or circumstance. It may be helpful, prior to filing bankruptcy to your keep your Social Security payments in a separate bank account from your regular funds. This is because a bankruptcy trustee will look at six months of bank statements up to the date of when you file your bankruptcy petition. If your Social Security payments have been mixed in with your personal money it can create issues. For instance, the trustee may argue that you cannot differentiate and prove which funds are Social Security money and therefore cannot receive the Social Security protection. This is one of the many reasons why it is important to have a bankruptcy attorney assist you. A successful bankruptcy plan should begin before your Chapter 7 or Chapter 13 bankruptcy case is filed. In Chapter 7, you do not list your Social Security payments on your Means Test. The means test is necessary to qualify for Chapter 7. Thus, you have a greater chance of passing the test and qualifying for Chapter 7 because your income will be lower. The Bankruptcy Code provides that Social Security is not included in “current monthly income.” See Bankruptcy law 11 USC 101. The means test can be very complicated. If you need assistance hire a bankruptcy lawyer to help with filing for Chapter 7 bankruptcy. The means test has a lot of nuances, and requires a thorough understanding of bankruptcy law. If you are having a difficult time meeting your financial obligations Florida Law Advisers, P.A. may be able to help. Our Tampa bankruptcy attorneys have years of experience helping clients obtain a fresh start. We combine our experience and skills in the courtroom with a thorough knowledge of the law to help achieve the results our clients need and deserve. When you hire Florida Law Advisers, P.A. you don’t just get legal advice, you get experienced bankruptcy lawyers by your side every step of the way. To learn more about how Florida exemption law can affect your bankruptcy call us today at 800 990 7763. Alimony, which is also commonly referred to as maintenance or spousal support is payment from one ex-spouse to the other. Florida family law allows for many different types of alimony, which can vary in duration, amount, and purpose. Permanent alimony in Florida can allow for alimony payments to continue until death. The divorce attorney in an alimony case can make a big difference on amount of alimony that is awarded. Therefore, it is important that you hire a divorce attorney in Tampa that is experienced litigating for and against permanent alimony in Florida. The fundamental principal behind an award for alimony is the disparity in financial resources of the two parties. However, disparity in financial resources alone is not enough to justify an award for alimony. See Rosen v. Rosen. 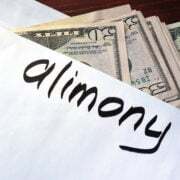 Instead, Florida family law courts look at one spouse’s ability to pay alimony vs the other spouse’s need for alimony. See Florida divorce case Green v. Green. For information about a specific case or set of circumstances contact a divorce lawyer in your area for assistance. The amount and duration of any alimony award is determined on a case by case basis. The court will first determine if there is a need for alimony by one party. Secondly, the judge will consider if the other party is able to pay alimony. Once that is determined, then the court must weigh the factors outlined in Florida divorce law 61.08. The statute also states that all other relevant factors can be considered when determining the amount and duration of the alimony award as the list of factors in the statute is not exclusive. An award of alimony may not leave the payor with significantly less net income than the income of the recipient unless there are exceptional circumstances found by the court. One of the types of alimony that a Florida family law judge can award is permanent alimony. Permanent alimony in Florida is appropriate when a party in the marriage lacks the ability to meet their needs and necessities of life following a divorce. The needs and necessities of life of that party are determined by the standard of living during the marriage and if it is possible to maintain that lifestyle after the marriage ends. An award of permanent alimony should terminate upon the death of either party or upon remarriage of the payee. Further, an award may be modified or terminated based upon a substantial change in circumstances. An example of a substantial change in circumstances is a supportive relationship of the party receiving alimony. However, the relationship must be in accordance with Florida divorce law 61.14. In any award of alimony, the court may grant periodic payments or payments in lump sum or both. Although adultery is not considered in determining if a divorce should be granted, the court may consider the adultery of either spouse in determining the amount of alimony to be awarded. An award of permanent alimony is normally awarded after a marriage of long duration. A marriage of long duration is a rebuttable presumption of a minimum of seventeen (17) years. This is the presumed number, but the court can determine this to be inappropriate given certain circumstances. The length of the marriage is the period of time starting from the date of the marriage until the date of the filing of an action for dissolution of marriage (divorce). 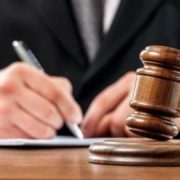 An award of permanent alimony can be awarded after a marriage of moderate duration if such factors from Florida Statute 61.08 are considered and an award is determined to be appropriate based on clear and convincing evidence. The rebuttable presumption of a moderate duration marriage is between seven (7) and seventeen (17) years. An award of permanent alimony can be awarded after a marriage of short duration only if there exceptional circumstances. Another qualification a Florida family law judge must consider is whether any other form of alimony is appropriate. If an award of alimony that is only temporary can be found to be appropriate than an award of permanent alimony in Florida is not appropriate. The court will only grant an award of permanent alimony in Florida if there is nothing else that will be sufficient given the circumstances. A skilled divorce lawyer in Tampa can make a big impact in a divorce involving a claim for alimony. If you are considering filing for divorce or your spouse has already filed for divorce, call us today to speak with a divorce attorney at our firm. The divorce lawyers at Florida Law Advisers, P.A. have years of experience in both advocating for and against alimony. With years of experience in family law litigation, we are more than ready to present a compelling case on your behalf and stand firm for what is fair. To schedule a free consultation with a divorce attorney at our firm call us today at 800 990 7763. Many people who choose to file Chapter 7 do so because they can no longer afford their debts. In Chapter 7, there are generally three options on how to keep property in bankruptcy. If the property has a loan/ lien securing the debt, a statement of intention as to those secured debts must be filed within 30 days of filing your bankruptcy. See bankruptcy law 11 U.S.C. § 521. It is highly recommended to consult with a bankruptcy attorney prior to completing you statement of intentions. Without competent advice you may accidentally limit the amount of relief bankruptcy can provide. For information on how to treat debt in a specific case contact a bankruptcy law firm in your area. Generally, the first option for borrowers is to reaffirm the debt. Reaffirmation can be a successful tool used when trying to figure out how to keep property in bankruptcy. A reaffirmation essentially creates a new loan agreement between you and the lender. In reaffirmations, you pay the loan amount in full, at an agreed interest rate, within a certain amount of time. If a reaffirmation agreement is signed by all parties and approved by the bankruptcy judge it will be binding. Once a reaffirmation agreement is finalized, this debt will no longer be dischargeable because you are agreeing to pay the full amount. If for some reason you stop making payments on a car loan after entering into a reaffirmation agreement, the lender not only can repossess your vehicle, but you also become personally liable for that remaining debt and the lender can obtain a judgment against you. So, make sure you truly want to keep that vehicle (or home) before entering into a reaffirmation agreement. You should consult with your bankruptcy attorney for advise on your specific situation. The second option borrowers can consider when evaluating how to keep property in bankruptcy is to redeem the property. This means that you, or someone on your behalf, who can pay the remainder of the loan in full, in cash, at that moment. If you have someone that can do that and you choose to redeem the property, then you will own it free and clear of any liens. However, careful consideration should be taken before redeeming property. Consult with a bankruptcy lawyer in Tampa to see if this option is right for you. The third option is to surrender your property. If you surrender your home , you are walking away from it, handing it over to the trustee assigned to your case. Further, you are not allowed to defend a foreclosure action against your home after you receive discharge. See bankruptcy case Failla v. Citibank . When you choose to surrender real or personal property, you will no longer be personally liable for the debt connected to that piece of property. The surrender option exists to give you a “fresh start” and a creditor cannot later come after you for the amount discharged from your decision to surrender. Additionally, property may be kept if it qualifies for an exemption. Exempt property is property that you do not have to forfeit when filing for bankruptcy and are instead entitled to keep. For more information on bankruptcy exemptions click here. If you are struggling with debt Florida law advisers may be able to help get a fresh start without having to lose your property. We are dedicated to providing effective representation, individualized attention, and affordable fees to our bankruptcy clients. All of our initial consultations are free and convenient payment plans are always available. Call us now at 800 990 7763 to speak with a Tampa bankruptcy lawyer.